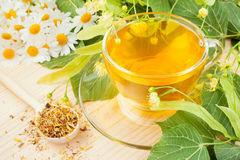 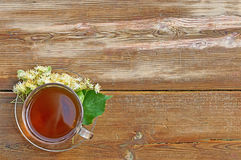 Linden tea on a wooden table. 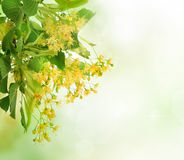 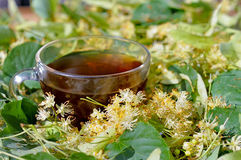 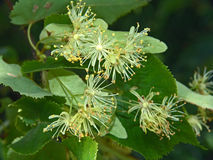 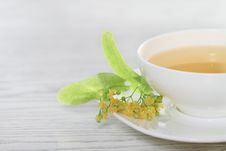 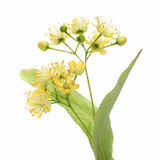 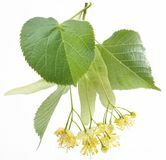 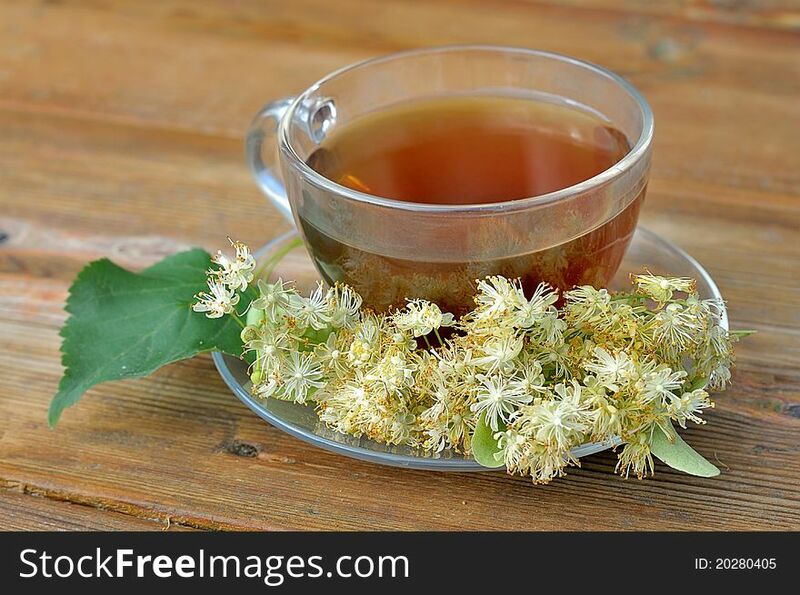 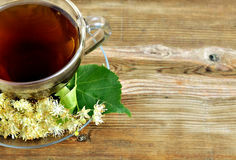 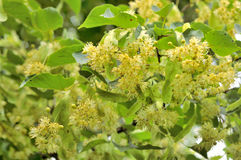 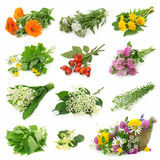 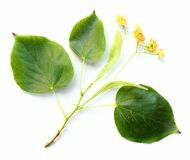 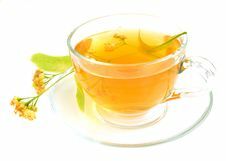 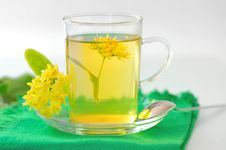 Tea with linden flowers. 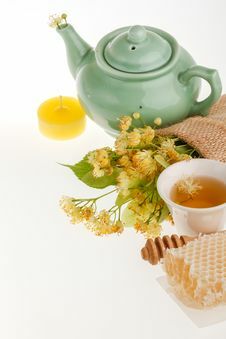 Cup of tea on the table. 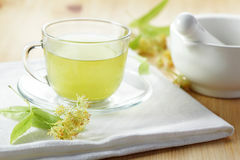 Brewed lime beverage. 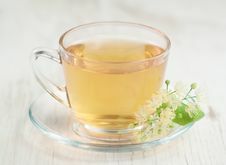 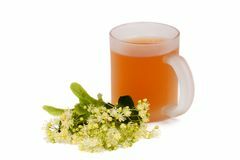 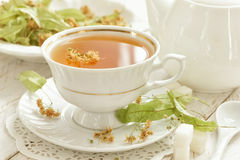 Medicinal tea.